In the time of the Pharaoh, a tiny infant is rescued from the banks of the Red Sea. She is named Zipporah, "the little bird". Although she is a Cushite by birth, one of the black people of the lands to the south, she is taken in by Jethro, high priest and sage of the Midianites. Jethro adores his adopted daughter, and she is an honored member of his family. But the blackness of Zipporah's skin sets her apart and will decide her future: she will be an outsider, and the men of her adopted tribe will not want her as a wife. But when she becomes a young woman, Zipporah's destiny changes forever. While drawing water at a well one day, she meets a handsome young man, a stranger. Like her, he is an outsider, a foreigner. His name is Moses. A Hebrew raised in the house of the Pharaoh, Moses is a fugitive, forced to flee his homeland of Egypt after murdering one of the Pharaoh's cruel overseers. Zipporah knows almost immediately that this man will be the husband and partner she never thought she would have. At first Moses wants nothing more than a peaceful life with the Midianites. But Zipporah refuses to let Moses forget his past or turn away from what she believes to be his true destiny. 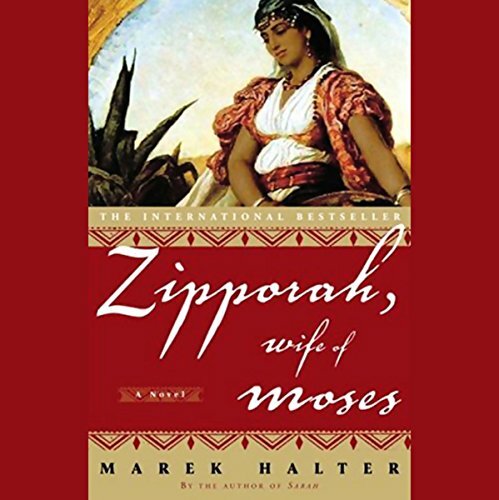 Although he is the love of her life and the father of her children, Zipporah won't marry Moses until he agrees to return to Egypt to confront Pharaoh and free his people. When God reveals himself to Moses in the burning bush, his words echo Zipporah's, and Moses returns to Egypt with Zipporah by his side. A woman ahead of her time, Zipporah leaps from the pages of this remarkable novel. 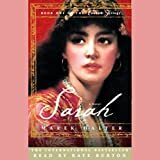 Bold, independent, and a true survivor, she is a captivating heroine, and her world of deserts, temples, and ancient wonders is a fitting backdrop to an epic tale.